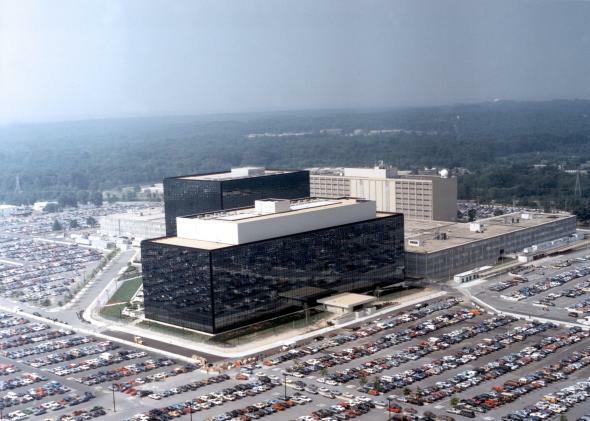 NSA headquarters in Maryland could be cut off from vital utilities if proposed legislation passes. One way to protest the NSA is to turn off their lights. That’s what eight Republicans in the Maryland House of Delegates are attempting with proposed legislation that would keep the state and any company that contracts with the state from providing “material support, participation or assistance in any form” to the NSA. The security agency’s headquarters are in Ft. Meade, Md., so if the law gets the three-fifths majority (the house has 141 members) it needs to pass, the huge central building wouldn’t be able to get things like electricity and water from state utilities. Even more extreme, state courts wouldn’t be able to accept evidence derived from NSA records or intelligence, and state-funded universities wouldn’t be able to do research with the agency. Plus, the delegates insist that enforcement would be fierce. This legislation is part of a larger wave of efforts to reduce the jurisdictions in which NSA evidence is admissable because of concerns about Fourth Amendment violations. Beginning last year, the Tenth Amendment Center and the Bill of Rights Defense Committee launched an effort called OffNow to cut the NSA off from water at its new data center in Utah. No legislation is pending in Utah yet, but things are in motion in Arizona, California, Tennessee, Washington, and more based on the model from the Tenth Amendment Center. President Obama sketched plans for some NSA reform in his State of the Union speech last month, but now states that are impatient with top-down reforms can take control and try to starve the NSA out. At this point it seems like the proposed measures probably won’t pass and are mainly targeted at stimulating discussion. But the legislation has unusual bipartisan support. Maybe the NSA will end up being the one in the dark for a change.